In the 2015 “European City Ranking”, Amsterdam ranked 13th with respect to the measures it takes against air pollution. Fortunately, a smart initiative is now changing this situation by implementing special birdhouses that offer free Wi-Fi to the locals who contribute to improving air quality. According to the 2015 European City Ranking, it seems that Amsterdam is not enough of an eco-friendly city when it comes to air quality. As part of the “Soot-free for the Climate“ campaign, the European City Ranking evaluated 23 big and highly-polluted European cities and ranked them from A to F based on their activities to improve clean air. In comparison to other cities like London and Paris, which got a C- grade, Amsterdam ranked 13th with a D+ grade, a entire letter grade below than its C- average in the 2013 ranking. Considering the consequences that air pollution has on the quality of life of Amsterdammers, Joris Lam, a local designer, launched a smart initiative called TreeWifi. With the objective to improve air quality in the capital of the Netherlands, Joris designed high-tech birdhouses that assessed the level of air pollution using special sensors in the areas where they have been implemented. If the air is clean, the birdhouse emits a green light, and if it stays red, it means the level of pollution in the air is high. However, the best part of this alternative project is that if the birdhouses detect that the air quality has improved, they offer free Wi-Fi as a reward to people living in the area under examination. In this way, locals are incentivized to do their part to reduce air pollution. What is more, while letting people enjoying a free Wi-Fi connection, TreeWifi also provides its app users with useful information about the perks of using public transportation instead of cars, and shares practice tips to help inhabitants clean the air in their areas, by organizing events like car-free Sundays. By reducing urban traffic, the quality of the air can be terrifically improved. TreeWifi is a good example of how technology can play its role in sensitising people about environmental issues, involving them in taking action in a smart way. Presently, this initiative is not so cost-effective as each birdhouse costs approximately €500. Still, Joris plans to develop models at more affordable prices if the project is successful. 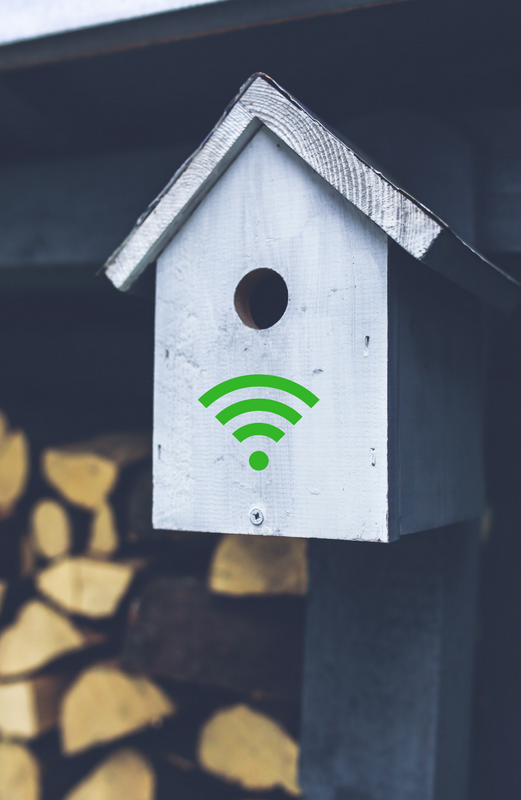 The TreeWifi team will initially equip the areas of the city that register the highest levels of air pollution with 5 Wi-Fi birdhouses, then plans to expand the initiative to the whole city and, one day, offer free Wi-Fi in exchange for clean air at global level.